Walking on the moors above Buxton, there is little evidence to the casual observer of the industry that for centuries toiled, struggled and sweated to win coal from the rocks beneath the surface. But if one stops and looks at the landscape, some of the traces left by coal mining can just be glimpsed. It was the story, human, geological, historical, of this forgotten industry that was told by Alan Roberts and Lyn Noble to a packed Buxton Civic Association, for their February members talk. 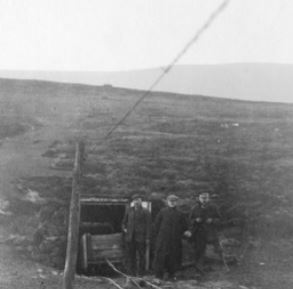 A depression in the ground once formed the base for a ‘gin’, a winding engine that was turned round and round by a horse and its young human charge, braving the elements up on these unforgiving moors day after day. The boy for 6d a day, and the horse presumably for just enough hay and oats as was needed to keep it in some sort of health to do its job. Another depression marks one of the many shafts that litter the landscape, now filled in, but that once were part of an extensive and complex mining operation. Beneath the moors canals were dug to enable boats to bring the coal out of the mines, and everywhere water was a problem, constantly needing to be pumped out to make the passages safe for the miners. Once on the surface, the preferred method to transport the coal to its destination was by pack horse. One can see the evidence, the deeply grooved "Holloways", green now, but in the depths of winter these would be filled with mud, making progress slow and difficult. Much of the coal, which was of a poor quality, was taken to help fuel the kilns of Grin low. The poor quality led to the large ash and slag tips that now litter the hillside, but hidden by the trees planted in the 1790's. Alan Roberts, author of ‘The Coal Mines of Buxton’ put the industry into its historic and personal context. The boy who led the horse round and round winding the buckets up and down on the moor top was Anthony Ashmore, as identified in records from the day. (We don't know the name of the horse) for his 6d a day. By comparison, visitors to the Card Room in the Crescent paid 5 shillings entry fee to look around and admire the architectural splendours of the building, funded in part by the rent from the coal licences. Lyn Noble then explained how a self-guided heritage trail walk had been conceived. It was first tested in the heavy rain and wind of an August afternoon, an experience shared by thirty members and friends of the Civic Association. The walk has been designed to take the walker on an historical journey of the Buxton Coalfields, working back in time to the earliest recorded mining in the 16th Century up to the 19th Century with its winding wheels, levels and fire houses. The effects of the mining can still be felt today as Lyn explained why after particularly heavy rainfall, the river in the Serpentine gardens turns red. The water flows out of the Old Duke's level and is the result of the Red Iron Oxide that accumulated in the level. The talk was rounded off with a sing along to an old miner's song “Dark as a Dungeon" with Lyn providing the lead vocals and musical accompaniment. The heritage trail walk of the Buxton Coalfields will be available shortly as a guide from the Poole's Cavern shop. 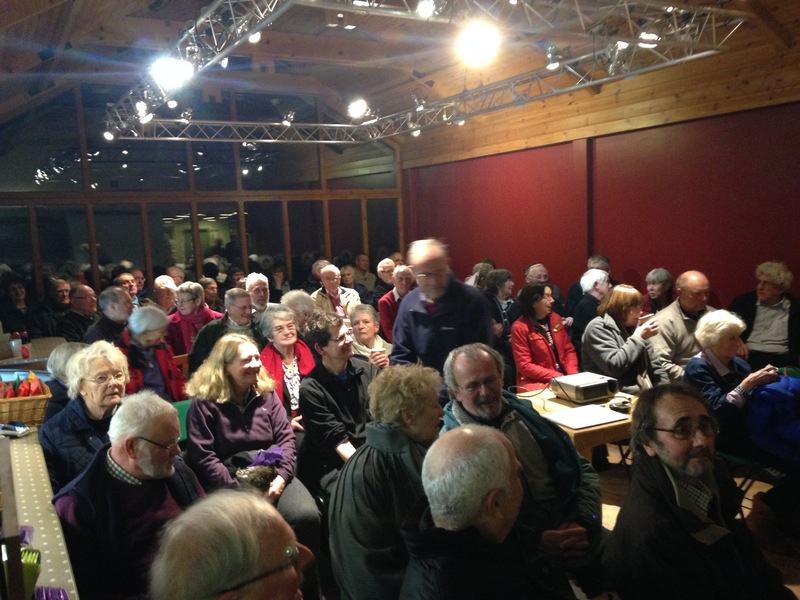 The next talk is on 17th March at 7.30pm at Poole’s Cavern Visitor Centre. The Talk is entitled “Butterflies of Grin Woods” to be given by Steve Orridge.